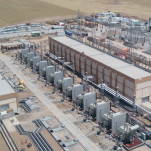 EAME is pleased to provide access to the concise Non-technical Summary (NTS) for the IDP Substations Project that covers the proposed development of 15 electrical substations across Iraq. This document has been prepared by Earth & Marine Environmental Consultants (EAME), on behalf of the Client, GE Power – Grid Solutions (GE). The overall objective of the Project is to develop 12 new substations and extend three existing substations. The substations will connect existing power plants to the national grid. The substations and extensions to substations are required, in accordance with the National Development Plan (NDP) 2013 – 2017, to provide a reliable electrical supply to all consumers. 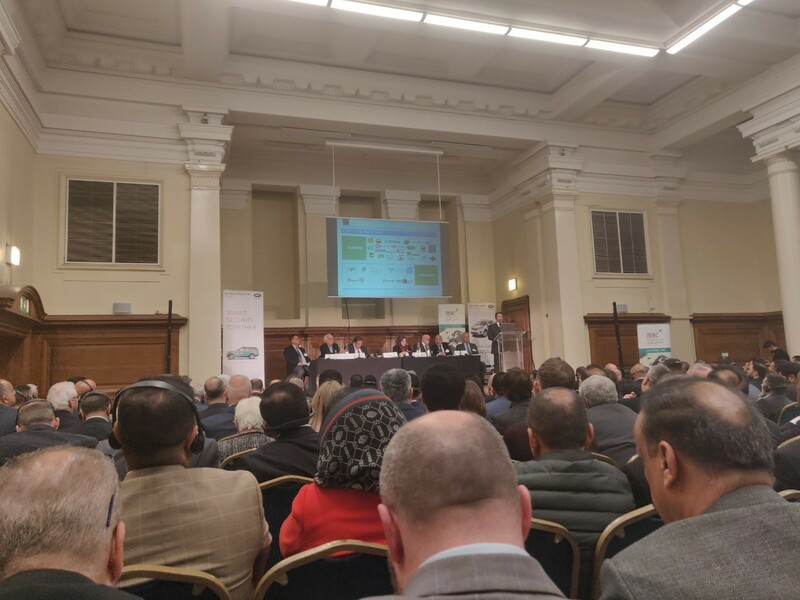 David Wells, Technical Director – Iraq Projects, attended the recent Business Forum and Spring Conference organised by the Iraq-British Business Council (IBBC). Held at Central Hall and Mansion House, London, the events marked the 10th anniversary of the founding of IBBC. Although EAME has only recently become full members of IBBC, EAME has been active with IBBC for a number of years and fully supports it efforts to encourage and support British companies in Iraq. The Spring Conference was entitled ‘Iraq – Financing a Modern Economy’ and there was much discussion concerning the success of UK Export Finance (UKEF), the UK’s Export Credit Agency (ECA), in supporting a number of large, nationally-significant infrastructure projects. EAME is proud to have supported UKEF with the environmental and social risk management of several of these projects. EAME is an environmental and social consultancy operating in Iraq since 2010. EAME provides a range of services including environmental and social impact assessment (ESIA) and environmental and social due diligence (ESDD) which allows international funders, developers, companies and Export Credit Agencies (ECAs) to manage their environmental and social risks in a challenging environment. The economy is picking up with real GDP estimated to grow by 0.6%. 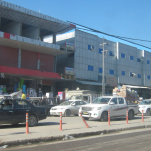 Iraq has recently signed several trade agreements with its neighbouring countries. Outlook has improved due to higher oil prices as well as the improving security situation. Constraints on capital spending will impede a recovery-driven growth. Challenges remain due to political risk, oil dependency and the regional situation. Social conditions remain challenging reflecting under investment and weak institutional capacity. EAME is an environmental and social consultancy operating in Iraq since 2010. EAME provides a range of services which allows international funders, developers, companies and Export Credit Agencies to manage their environmental and social risks in a challenging environment. 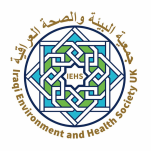 EAME attended the recent conference organised by IEHS-UK ‘Cancer and Environmental Pollution In Iraq: Etiology, Clinical Presentation & Management’ held at University College London. Panel topics were very pertinent to the current environmental and social challenges that Iraq is currently facing and included a particularly useful discussion relating to the role of media in raising awareness of environmental pollution. EAME’s Managing Director, Steve Rowan, was invited to attend the sixth Sulaimani Forum that took place on 6 – 7th March 2019 at The American University of Iraq, Sulaimani. The Forum has become the prime policy event in Iraq, bringing together key policymakers, stakeholders, and analysts for two days of thought-provoking debates and discussions on the most pressing issues facing the region. 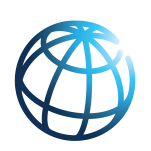 The forum is organized by the Institute for Regional and International Studies (IRIS), an Iraqi-based research institute housed at the American University of Iraq. This year, discussions focused on the stabilization, good governance and economic growth in Iraq and the region. Steve said ‘I am pleased to see that one of the sessions included a discussion about Iraq’s water resources. Iraq’s major river systems (Euphrates, Tigris and indirectly Karun Rivers) begin their journeys in neighbouring nations who, to serve their own water needs, greatly reduce the flows coming into Iraq. 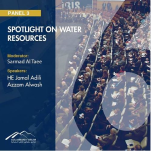 Iraq with a growing population, multiple pollution sources, poor management practices, ineffective treatment and distribution and increasing salinity sees a situation of increasing water demand whilst experiencing reducing quantity and quality. There needs to be urgent and considerable investment in treatment and management of water resources and an accurate representation of the cost of clean water in the economy. A secondary benefit of clean potable water delivered to homes will be a reduction in the tens of millions of plastic water bottles that litter the Iraqi landscape. The technology and management techniques exist to solve this problem if the political will is there to support and finance it’. EAME is already looking forward to next year’s forum. EAME is an environmental and social consultancy operating in Iraq since 2010. EAME provides a range of services which allows international funders, developers, companies and Export Credit Agencies to management their environmental and social risks in a challenging environment. 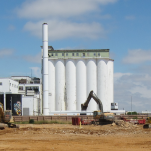 EAME is pleased to confirm that Welwyn Hatfield Borough Council have approved (on 10/12/18) the plans for the iconic Former Shredded Wheat Factory in Welwyn Garden City. The plans for The Wheat Quarter will deliver nearly 1,500 new homes, a wellness centre, employment space, an art hub and a new Civic Building. EAME has been involved with the site since July 2017 during which it has conducted extensive environmental assessments in-line with current guidance. EAME’s MD (Steve Rowan) has been asked to be a panellist at the IBBC Autumn Conference that is due to be held in Dubai on 24-25 November 2018. Steve is taking part in Session 4 (Infrastructure – Rebuilding & Utilities Supply) on Sunday 25th November 2018 alongside Christopher M. Cantelmi, Principal, IFC, Dr Wishdan Salim, Iraqi Prime Minister’s Advisory Commission, Robert Helme, Wood, Jean-Claude Nasr, Siemens MENA and Professor Frank Gunter, Lehigh University, USA. For a number of months, EAME has been working hard with the international design team for a lifestyle community in Guyana. 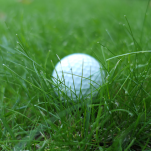 The project is phased and on the 19th October 2018, Lusignan Golf Club and the Jack Nicklaus Group signed a US$100m agreement to develop the first phase – a new state of the art golf course and resort in Guyana. Once complete, the development will include executive houses, an international school, medical facilities and sports ground. EAME has been present on the Design Team since its inception and Steve Rowan, EAME’s MD, noted that ‘as an environmental consultant, one of the frustrations of our work is that we are often plugged into a project well down the design path when it is too late to influence or even opine on the environmental & sustainability aspects of the project – we just assess the impacts. We are delighted to be involved in this landmark development project in Guyana, where we have been in the Design Team from Day 1. We have the remit from and support of the stakeholders in developing the sustainable design brief for this benchmark setting multi-faceted community development. We are going to ensure that this development accords with Guyana’s Green State Strategy and will be looking at energy, waste, water, construction materials, employment, local content, ecosystems, transport, climate change resilience, carbon performance’. EAME offers a range of services allowing its clients to manage their environmental and social and has been involved with various infrastructure developments in Guyana since 2016 after it was identified as an emerging market with whom EAME could develop long-standing relationships and alliances. Basra is suffering a water quality crisis with a reported 18,000 people hospitalised. Iraq Oil Report has published an article on this topic and included a photograph of the riverbank of the Shatt Al-Arab Waterway taken by EAME. EAME is an environmental consultancy operating in Iraq since 2010. EAME provides a range of services which allows for international funders, developers, oil companies and Export Credit Agencies to manage their environmental and social risks in such a challenging environment. 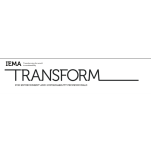 Steve Rowan and Leeza Pickering were pleased to contribute an article this October’s issue of TRANSFORM magazine which is published by IEMA for environmental and sustainability professionals. The article concerned with Guyana and how the country can avoid the resource curse which has afflicted several countries in a similar situation to Guyana. Both Steve and Leeza are heavily involved with helping develop Guyana’s infrastructure following its significant offshore oil discoveries and their personal experiences have been incorporated into the article. EAME is involved with various infrastructure developments in Guyana after it was identified as an emerging market with whom EAME could develop long-standing relationships and alliances. EAME is an consultancy specialising in the management of environmental and social risks in emerging markets. EAME is based in the UK, Romania, Iraq and Guyana and specialises in Environmental and Social Impact Assessment (ESIA) and environmental and social due diligence (ESDD).